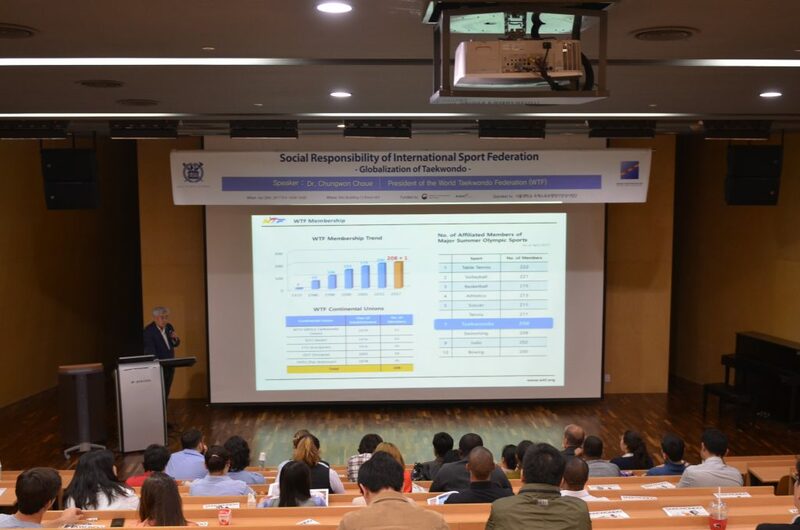 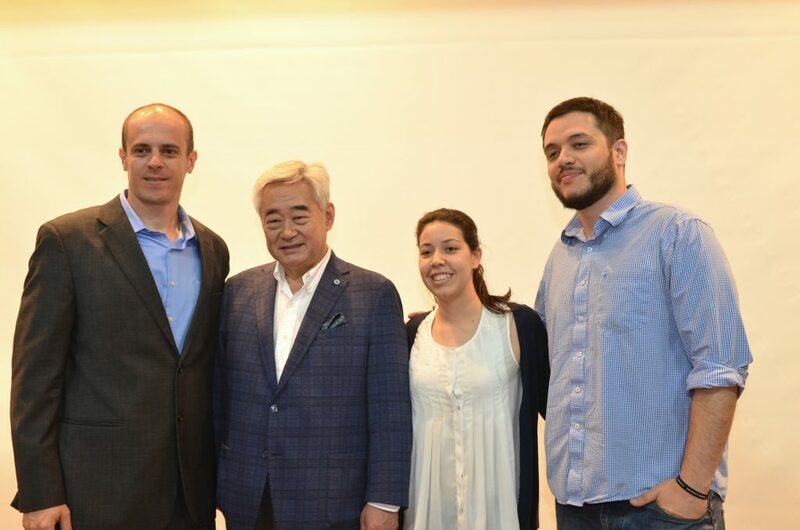 On April 28th, DTM had a special lecture with a very special guest from the World Taekwondo Federation (WTF), President Chungwon Choue. 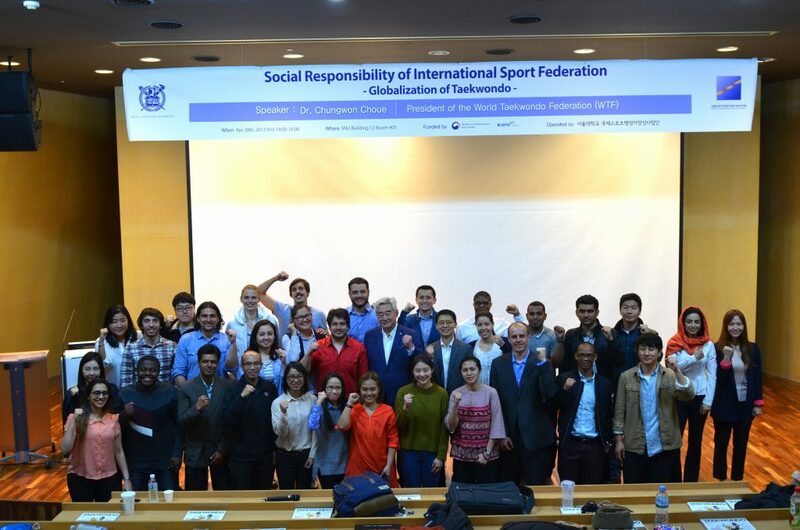 He gave a presentation with the tile of “Social Responsibility of International Sport Federation – Globalization of Taedwondo.” He mentioned that WTF put a lot of efforts, such as launching reform committee, expanding media exposure and participation of women and handicapped, and improving fairness of referees to remain as a core sport of the 2020 Tokyo Olympic. 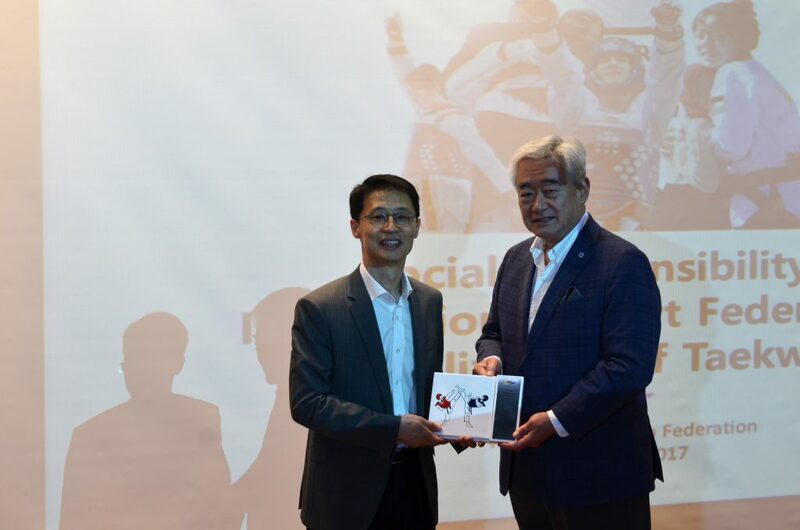 Also, he emphasized that the Taekwondo Humanitarian Foundation (THF), a WTF initiative, would be able to assist and empower refugees, and so it will enable to carry out its social responsibility as an international federation.